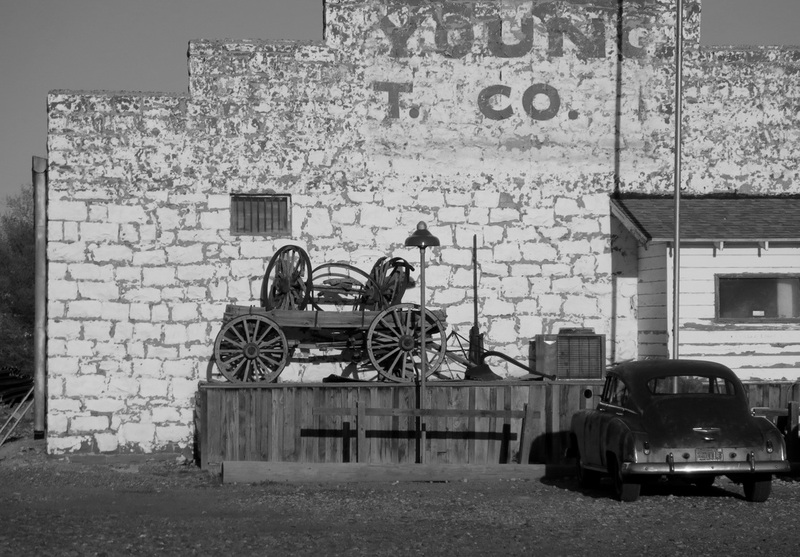 An old Chevrolet drives past the Bucket of Blood Saloon in the Schuster block south of the Holbrook railroad depot. Holbrook stands strong. A century ago, it was known as a "town too rough for women and churches." Its famous watering hole, south of the railroad depot, was labeled the Bucket of Blood Saloon after a brutal gunfight occurred there. Frontier Holbrook in the 1880s had too many lawless cowboys, cattle rustlers and horse thieves. That Sept. 4, 1887 shootout was a pivotal moment for Holbrook. Sheriff Owens, noted for his flowing blond hair, got rid of some of the black hats and Holbrook became a little more civilized. Now, 130 years later, visitors can still see the sand-colored house where Sheriff Owens wounded John Blevins and killed Mose Roberts, Sam Blevins and Andy Blevins, also known as Andy Cooper. Sheriff Owens was cleared by the coroner’s jury in the three deaths but there's been speculation over the years that the fatal shooting of 15-year-old Sam Blevins troubled Owens. He did not seek re-election to Apache County sheriff a year after the gunfight. 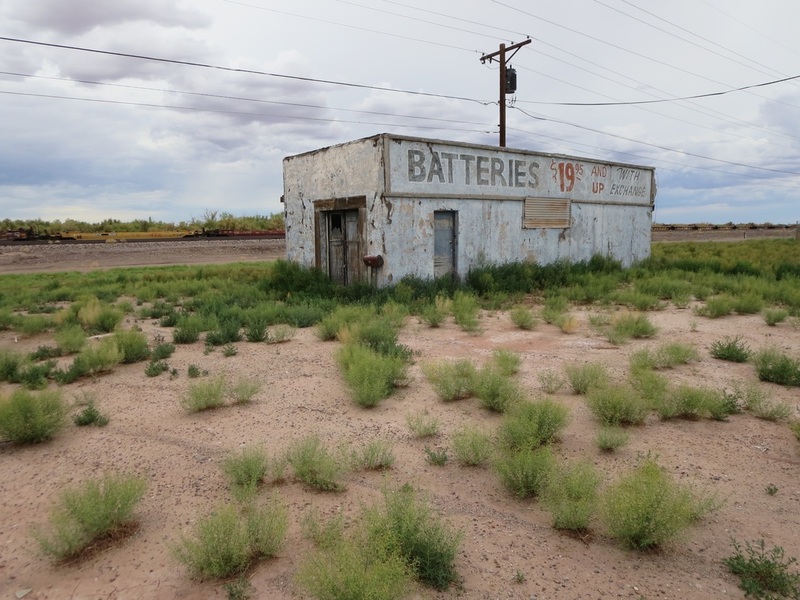 Owens then worked as a security guard on passenger trains running from Albuquerque to Seligman, Ariz.
Owens moved to Seligman in 1900, married a woman roughly half his age and ran a store and saloon. He died at age 66 on May 10, 1919. 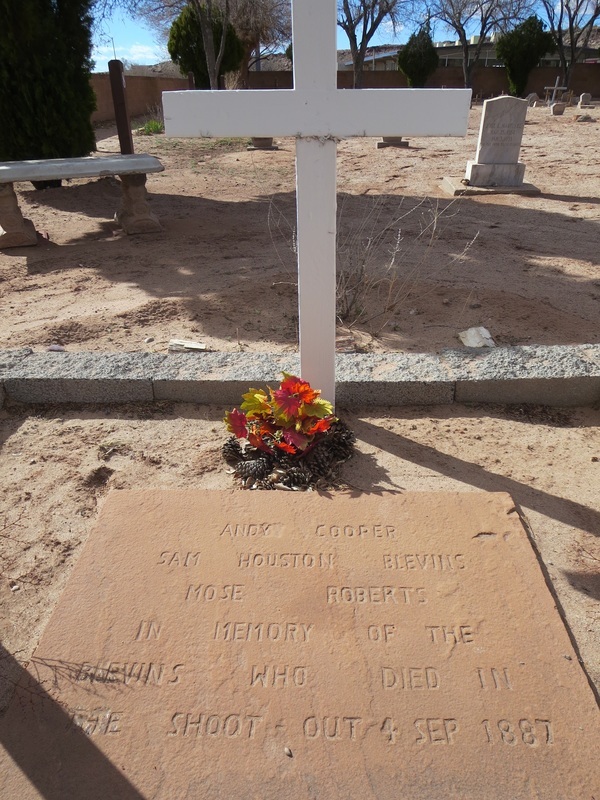 The famous lawman is buried in the Flagstaff Citizens Cemetery in a prominently marked grave. 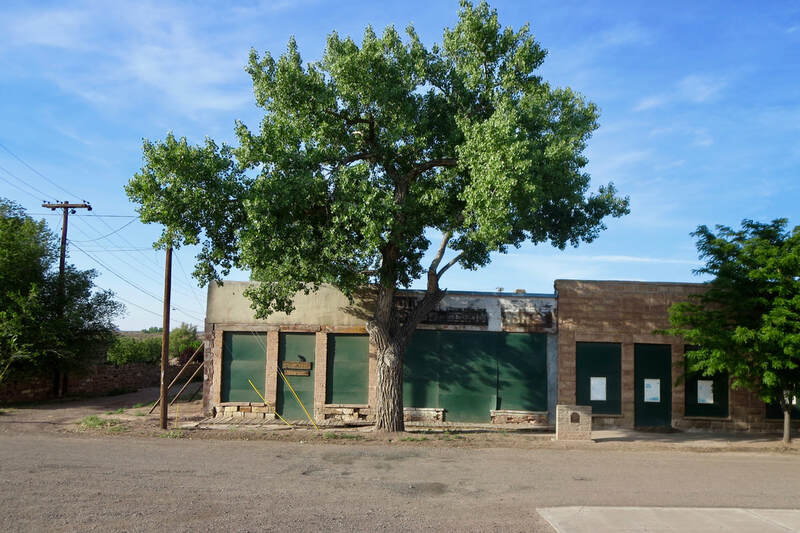 Meanwhile, the Blevins House is such an historic landmark in Holbrook that Bruce Babbitt chose to be sworn in there as Arizona attorney general in 1975. Babbitt, who went on to be Arizona governor and U.S. Secretary of Interior, was asked back then if he identified with Sheriff Owens. Babbitt's deadpan response was: "I'm not a gunfighter." The Blevins House at Joy Nevin Avenue and Second Street is one of a handful of sites linked to Holbrook’s outlaw past. It's a modest, frame structure that has been turned into a senior citizens home. There's a “Blevins House” sign but nothing else to indicate it was center stage for one of Territorial Arizona’s bloodiest shootouts, rivaling the 1881 gunfight at the OK Corral in Tombstone. ​— The restored 1882 Holbrook railroad depot that was the town’s focal point when Owens -- well-armed -- went by himself to the Blevins House with a warrant for Andy Blevins.— The Holbrook Cemetery where a tombstone marks the graves of the three outlaws Owens gunned down at the Blevins House. 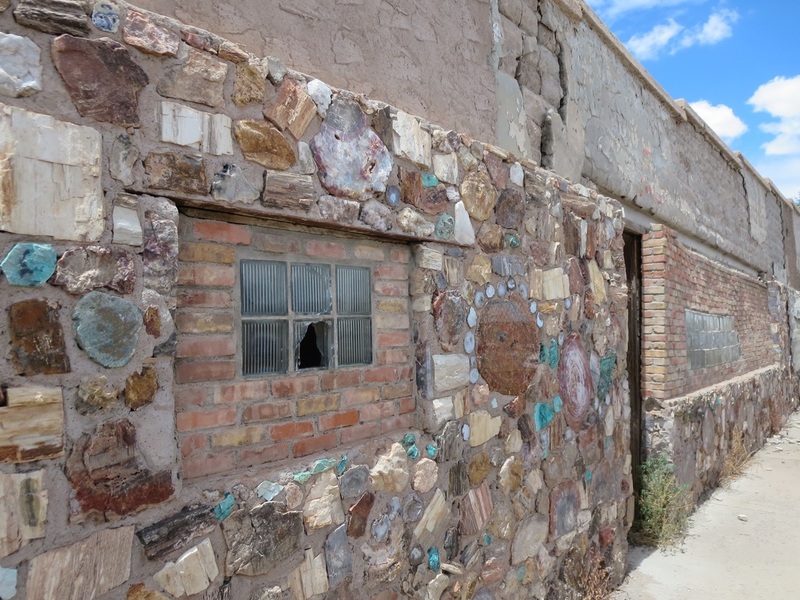 ​— A line of stone buildings south of the Holbrook depot that includes the infamous Bucket of Blood Saloon. — The 1898 Navajo County Courthouse where a planned public hanging of murderer George Smiley with fancy invitations drew scorn from President William McKinley as an unseemly spectacle. The courthouse museum includes a dank jail with some fascinating art/graffiti created by prisoners in the gray bar hotel. The spirit of that Western history endures in Holbrook where the Hash Knife outfit embarks on a 180-mile Pony Express ride each winter to Scottsdale. ​Meanwhile, the town still has roadside relics of Route 66 along its main drive. That includes the Wigwam Motel with its faux teepee rooms. A recent addition to Holbrook is surprising but quite refreshing. It's the Arizona Sake brewery that Japanese immigrant Atsuo Sakurai started in his wife's hometown. Arizona Sake won first place in an international sake competition in Tokyo and the award has boosted sales for the fledgling business. Arizona Sake is available in Holbrook at West End Liquors, Super Fuels and Hatch's Quick Stop. Also in dozens of shops and restaurants across Arizona. 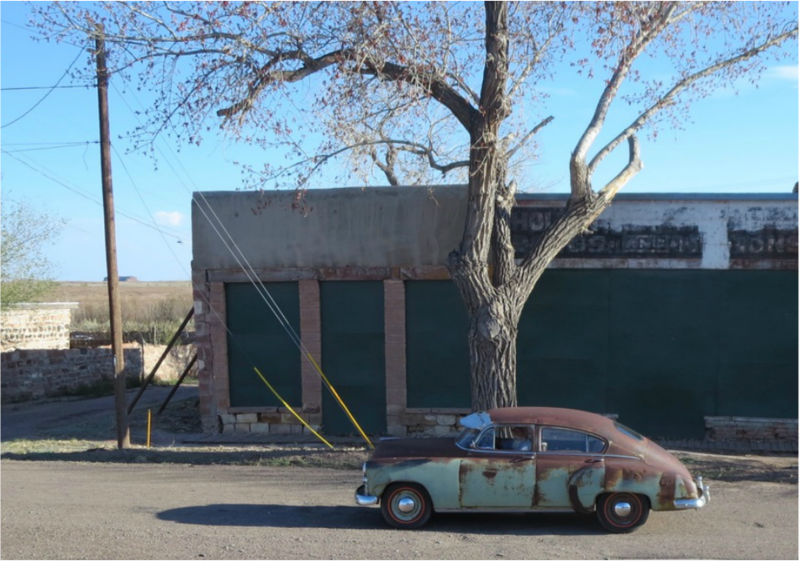 Holbrook is worth a stop and a deeper look at its remaining roadside attractions, Western roots and the landscapes at the nearby Petrified Forest National Park and Painted Desert. 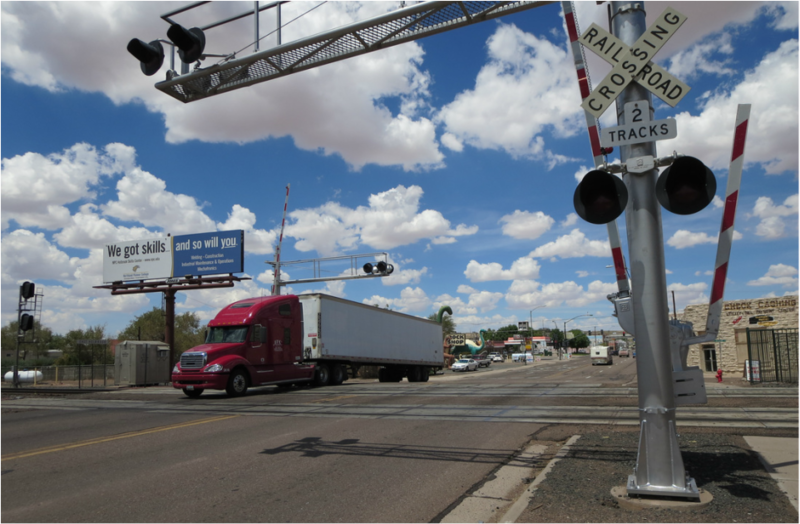 A trucker heading south through Holbrook crosses the railroad tracks on Navajo Boulevard. Top left: Blevins House, site of a deadly shootout. Above: Tombstone for the men killed by Sheriff Owens. Left: A decorative wall on an empty building. An historic warehouse east of the Holbrook railroad depot. Arizona Rancho hotel awaits someone to save it from ruin with a restoration. Holbrook's freight depot of the BNSF Railway.